LITUANIA. Sg.10-16. 1941 (Aug 30). 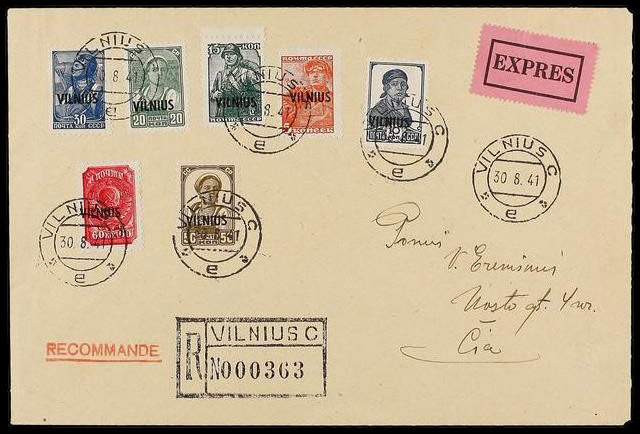 Registered cover locally used within VILNIUS franked by complete set of German Occupation ´Vilnius´ surcharged part set of seven (excluding 80k. and 1r. adhesives). Registered handstamp and perforated EXPRES label at right. A fine and scarce cover.